Like many women, and most beauty addicts, I'm always on the look out for the ultimate mascara. With fair skin and almost non-existent eyelashes (and eyebrows), I need more than a little help and I don't believe that there's a woman who doesn't look or feel better without a few coats on their lashes. Opening up the eyes, defining lashes and creating a bolder, sometime flirtatious look, mascara is a make-up must. But finding the perfect mascara is hard and can take a long time. 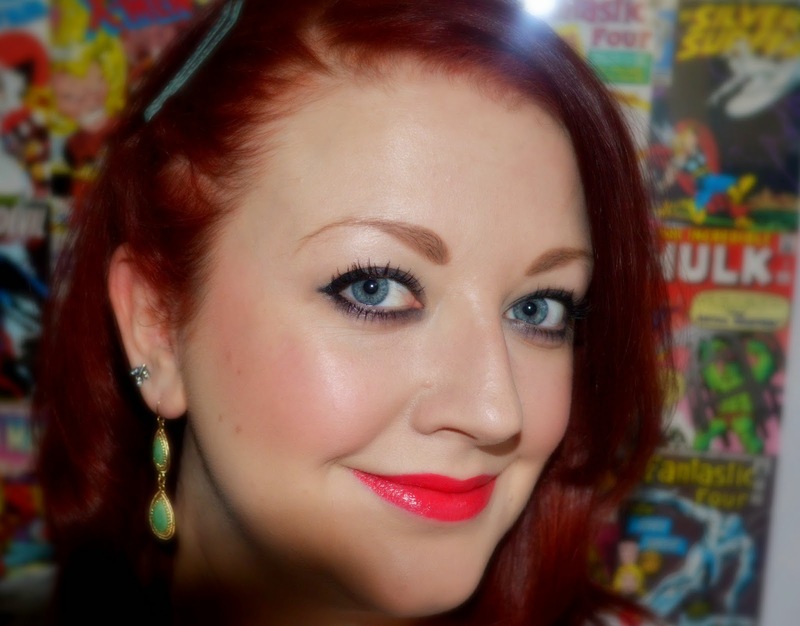 Drum roll please, let me introduce you to Roller Lash from Benefit. 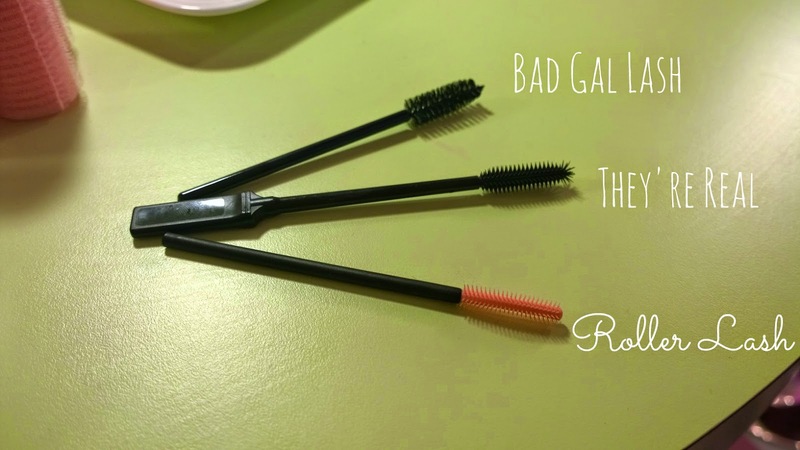 Benefit's They're Real mascara has long been a fan favourite but there's a new mascara in town and it's got something to really wow, whether you like just a quick coat or like to go for a bolder eye look. 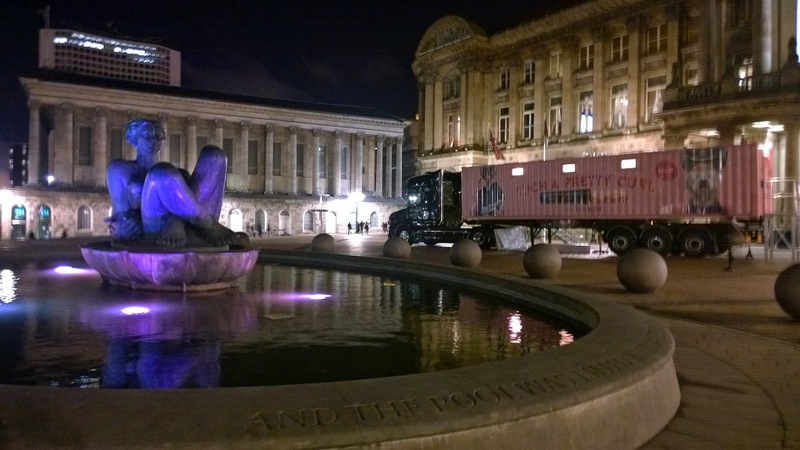 Benefit in fact came to my town to tell beauty buffs like myself the latest buzz and I was really impressed, from the fun launch to the product itself. We were treated to some sweet treats and pink champagne on board the 'Such a Pretty Curl' roadshow truck and were entertained by the Benefit Babes, dressed in their 50's finest. You know, just your average Wednesday night out. What was all the fuss about? Another new mascara? 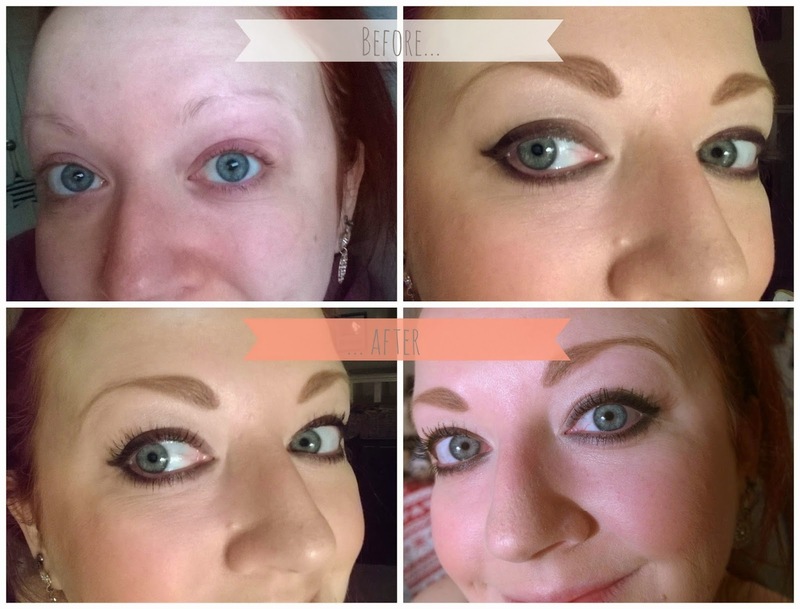 Hadn't Benefit already done a fab job with They're Real? But there's always room for improvement and after four years of development and various brush designs, trials and tests later, Benefit came up with Roller Lash; so called as it puts an end to the need for eye lash curlers (which I never got on with personally) by setting a natural curl to your lashes, all with a flick of the wand. You can't quite see it here but each bristle on the brush has a tiny hook shape at the base which is designed to catch your lashes and pull them upwards, opening up your eyes and giving you a nice curled finish. Think of how you can use scissors to curl ribbon - it's like that, but much, much gentler! The whole brush is also curved to help enhance the shape and I really like how dainty the brush head is too. At first, I didn't think it would be able to make such a difference being so small but actually, this helps you to reach all your lashes accurately, and without smudging, plus it makes defining your lower lashes a lot easier too. I've been using this mascara every day for the past couple of weeks and I love how effective it is, the definition it gives my lashes and the staying power it has. It lasts all day and doesn't flake or smudge. And my lashes stay put too. The Benefit Babes told me that it was a softer look than They're Real and that it would make my lashes look flirtatious - perfect for day time wear. I wear mascara every day (if you look at the photo of me above, top right, you'll see why) and I completely agree that it's a feminine look perfect for day wear. 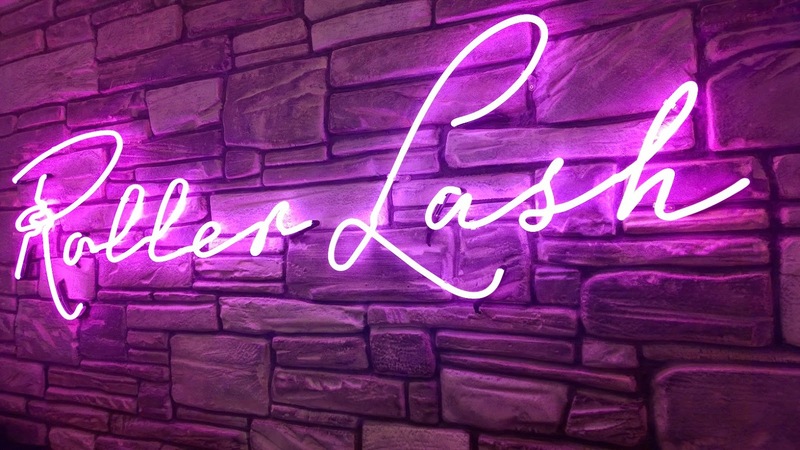 You can layer up the colour if you like for a bolder look, or add a thicker mascara over the top such as They're Real should you wish, but the definition and shape that Roller Lash creates is the best I have seen from any mascara. Hands down. Roller Lash from Benefit is a 'super-curling and lifting' mascara and it does exactly what it promises and is a dream to use. Well worth the money, at £19.50 - trust me, your lashes will love it. 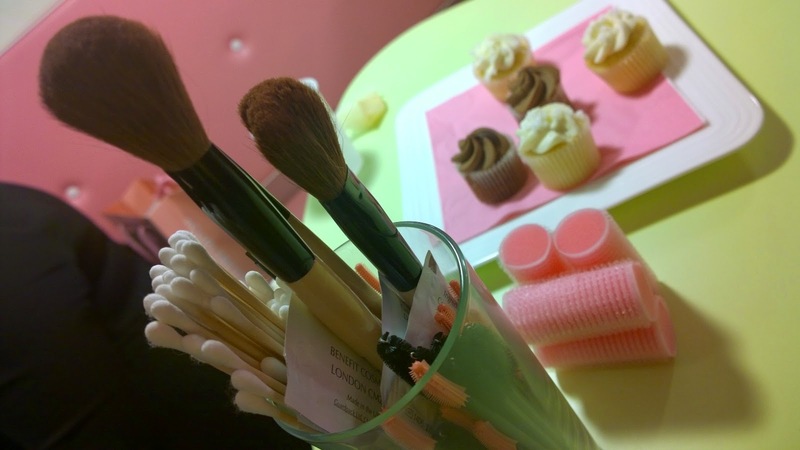 * Thank you to Benefit for inviting me to the Roller Lash launch - it was love at first try! DOING It's been another busy work week, with a lot going on and a lot of travel, so not much else happened and by the time the weekend rolled around, I was happy to do not very much at all. 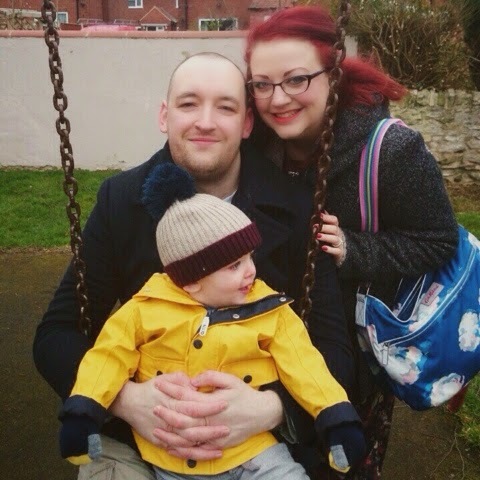 I like to keep myself occupied and love to go out for the day with my little family, but sometimes, a weekend hibernating at home, pottering around and just relaxing with each other is very much called for. 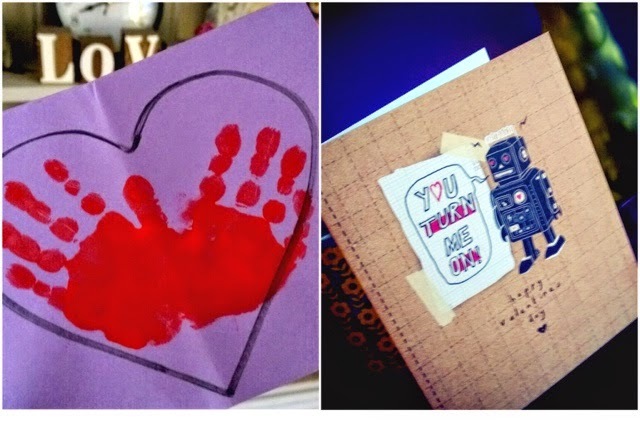 Saturday of course was Valentine's Day and for me, it was spent with my little man and my big man. 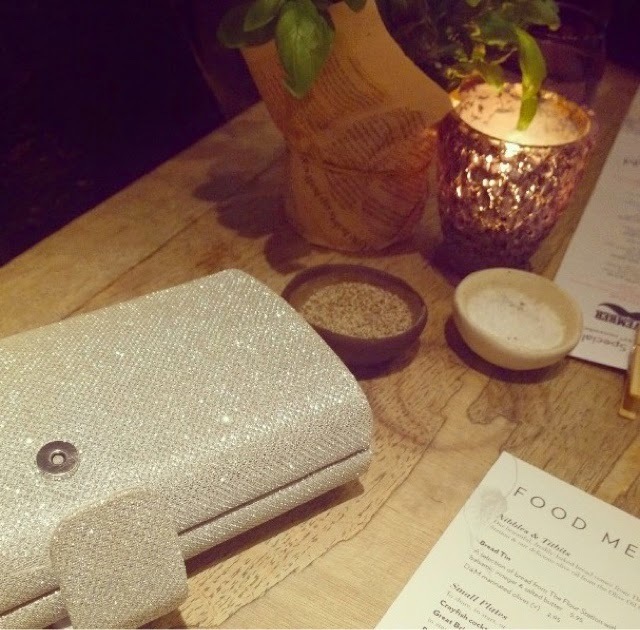 I popped out on Saturday to treat us to the M&S £20 meal deal and it was so delish that I have no photographic evidence of what we had. We started with scallops and a pea and mint purée, then had slowed roast pork belly with roasties and veg, followed by Cava, salted caramel brownie and chocolates. I was still feeling under the weather, thanks to this persistent sore throat, and my snoring drove hubs to sleep on the sofa, but besides that, it was a lovely day. WEARING I mentioned I'd had an eye test last week and I now have three new pairs of glasses so I can coordinate with any outfit. A bit overkill for some but I figure if I need to wear them more often, then I might as well style it out with some specs appeal. 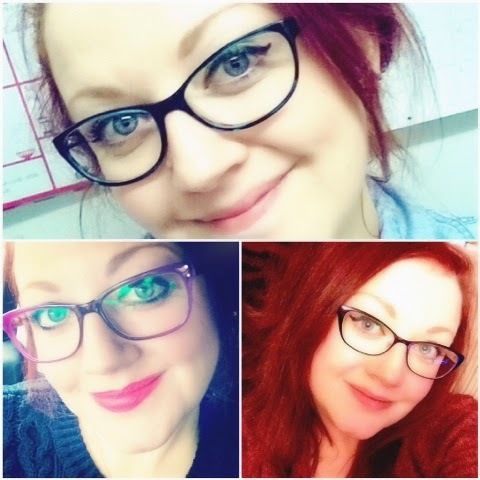 I love the blue/green colour of the top pair, the pink geek chic style glasses above left are similar to my last pair and are really fun whilst my fifties style, dark purple specs above right look smart and are such a lovely shape. ORGANISING I bought this hanging jewellery display from Sass and Belle at the Ideal Home Show Christmas but it's taken until now to hang it up. 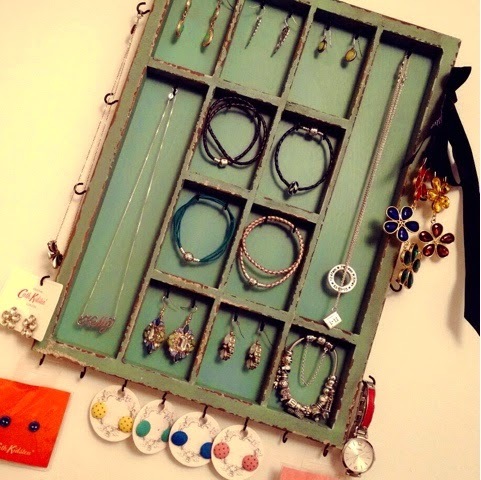 I've chosen to display the main necklaces, earrings and bracelets I wear day to day and just love how it turns my jewellery into a wall feature. 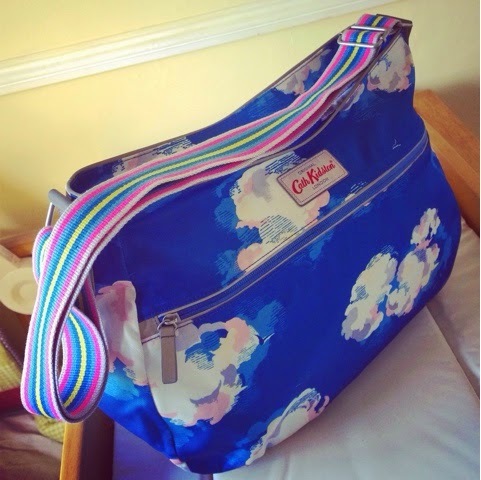 LOVING So it's fair to say I am Cath Kidston, and particularly cloud print obsessed. 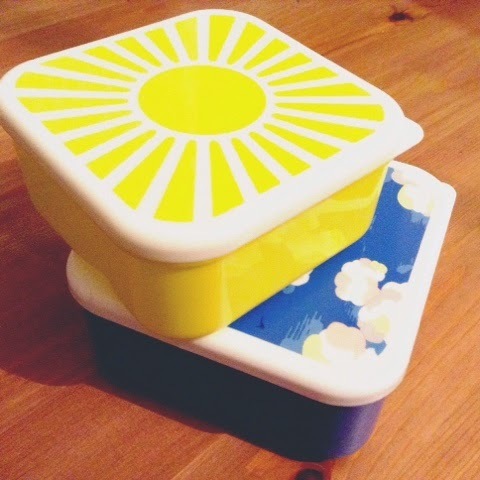 But these cute tupperware boxes brighten up my day and are perfect for breakfast and lunch at work. I'm trying to be better prepared and take in things to eat rather than spending money buying lunch each day and I, trying to make an effort to eat breakfast a little more often too. TRYING I've kindly been sent some Juice Plus fruit capsules to try, and a couple of shakes too, by the lovely Francesca over at Adding Up To Mum. She saw how much my psoriasis has been bothering me and thought that these could help, so I'm trying them for two weeks and will be reporting back soon. REMEMBERING I haven't scrapbooked in a while so I made time on Sunday to order some prints of recent photos and to update a few things in my Project Life album. READING I've been trying to make more of an effort to read when Ethan has gone to bed or when I have a spare moment. 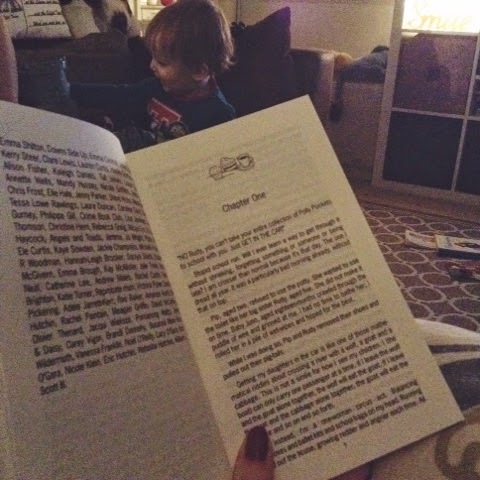 I have loved reading since a young age but since having Ethan, I've struggled to have the attention span to pick up and read more than a couple of pages. More often than not, it makes me very sleepy but I have a new book that I've been getting into and it's one that I'm sure will strike a chord with many of you too. 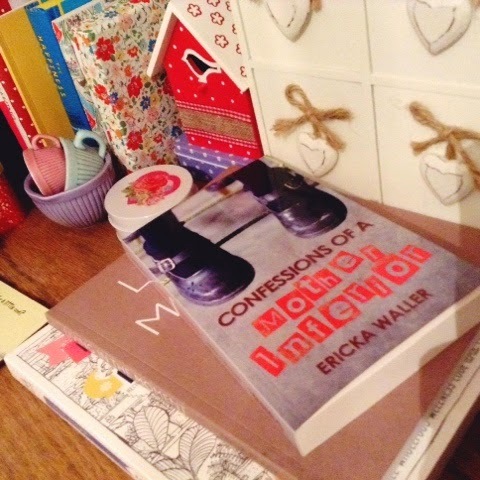 It's called Confessions of a Mother Inferior (published by Britain's Next Bestseller, RRP £8.99) and it's the first book from fellow mum and blogger Erika Walker (see her blog over at Mum In The South). Her bio and her writing style is so very relatable and I can really hear Erika's voice throughout this book. 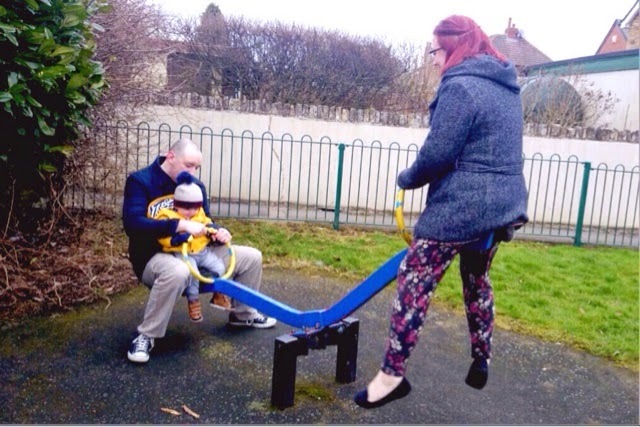 The story follows a mother called Peta who has three children under five and who deals with various struggles from a job she hates, a wobbly mum Tim and a husband who seems to have a bit on the side. She also has to deal with the 'perfect mothers', or so they seem, that she encounters in her village who make her feel she's the only real person with real problems. It's a really accessible book and I've found it easy to get into - perhaps because Peta is a mum just like me. 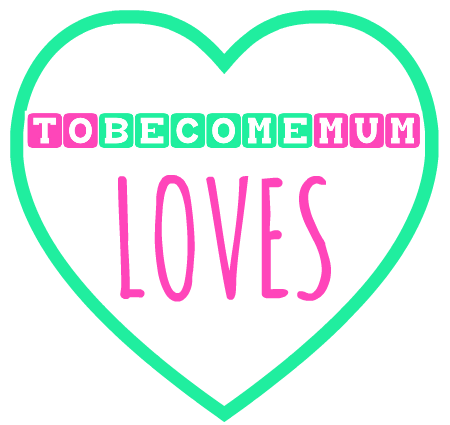 I think that every mum has questioned themselves or wondered how other mothers do it, so this book is very much for every mum. I like the mix of humour and reality and would like to pass on my copy of Confessions of a Mother Inferior to another mum who might enjoy a new book with some familiar insights and a fair few chuckles. I thought it would be nice to start a book chain with this, each person writing their name inside the cover before passing it on to another mum who will appreciate this good. So, if you'd like to be the first in line to receive this to read before passing on again, leave a comment below and I'll get in touch to arrange posting this to you just as soon as I've finished it. * Thank you to Britain's Next Bestseller for sending me this book, it's got me back into reading again! 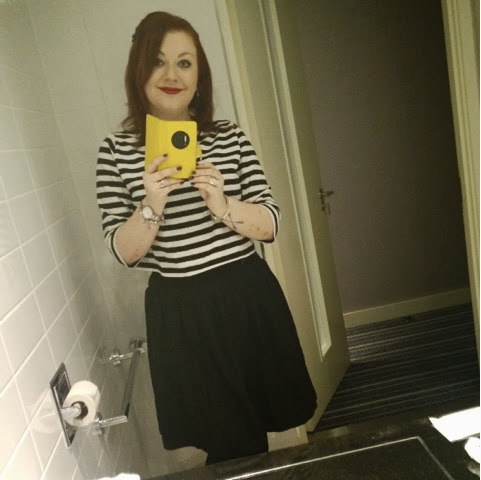 I've been meaning to share this recipe for a while now but I've been a little under the weather, crazy busy with work and just generally behind with lots of essential things and fun things I want to do too so I'm playing catch up in quite a few areas of my life! 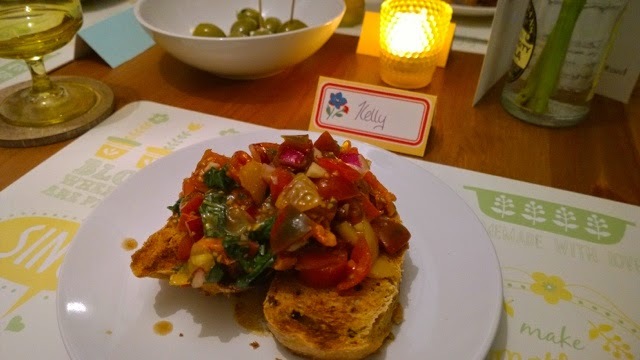 I made this bruschetta recipe as a starter for hubby's birthday meal and really, it was something I made up as I went along. I based it on key flavours and added a few twists. 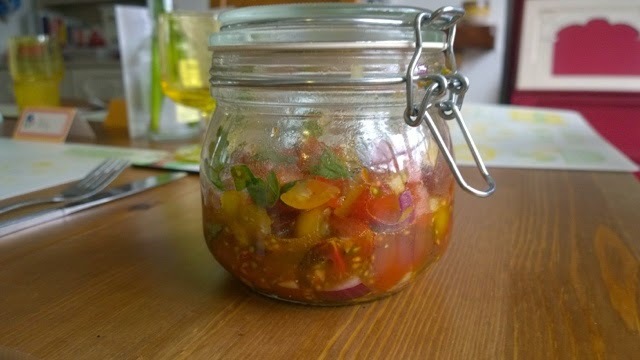 It's a really easy starter or even meal in it's own right to whip up and it really went down a treat with my guests - so I guess clear plates all round is the best review I could ask for! Dice your tomatoes - if you have a mini chopper, then use it as this part can be quite time consuming. Add to a bowl or an airtight glass container, like I used. 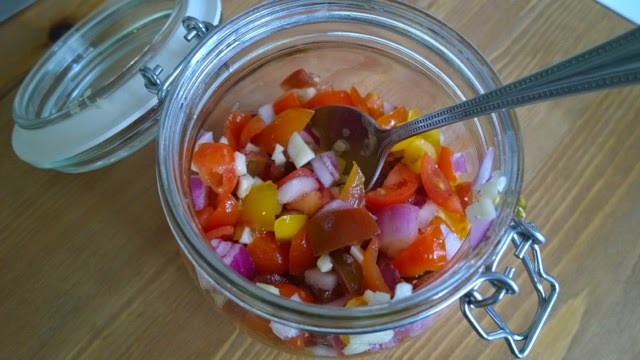 Finely chop your onion, crush your garlic and add to your tomatoes. 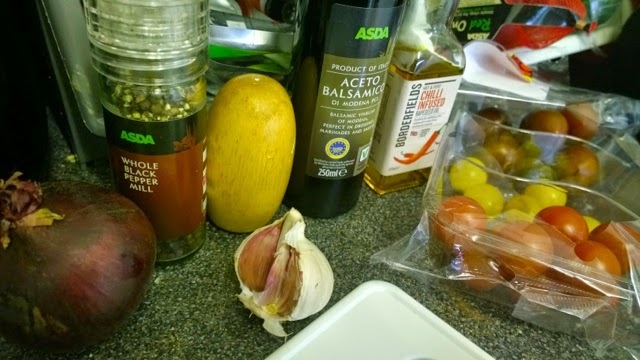 Add the balsamic vinegar and olive oil and have a taste to see if you've got the balance right. 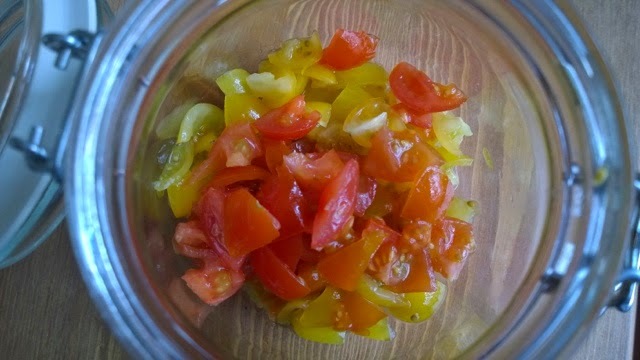 Add a twist of salt, to counteract some of the sweetness of the tomatoes, and some pepper before mixing in some shredded basil leaves. If you're adding one of the optional extras, do so now, before giving everything a good stir. 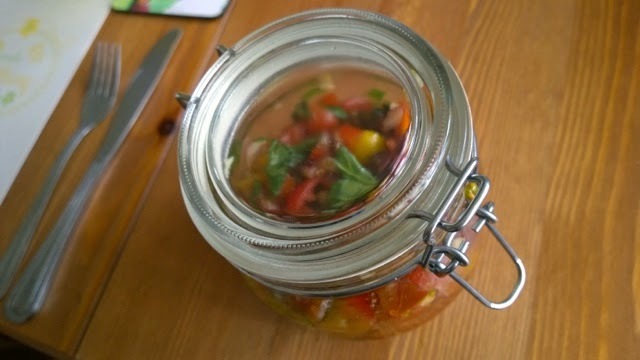 Seal and leave in the fridge for at least an hour so all the flavours can develop. Just before you serve, slice some fresh bread or a baguette at an angle and gently toast. 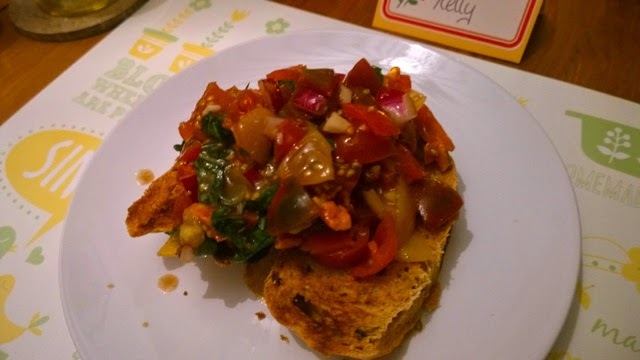 I picked a chilli bread loaf and this gave a kick to the whole dish. Assemble your tomato mix on top, Add a basil leaf for decoration and serve with a smile. Dare I say it, but V day is nearly here. The most romantic day in the year, or so the card companies would have us believe. 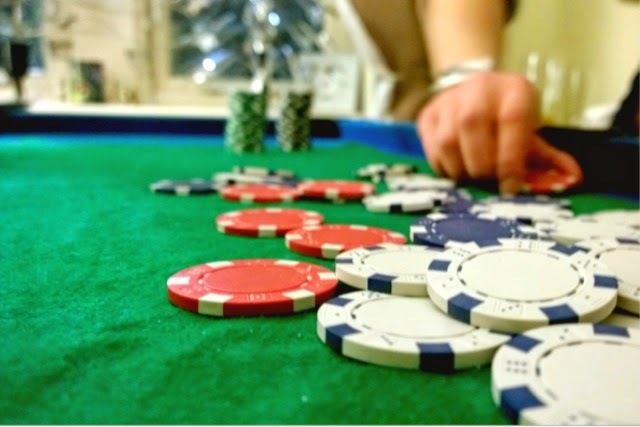 Whether you're a cynic or play for Team Cupid, it's pretty hard to avoid the roses, the cards, the chocolates and the cuddly toys holding hearts. And with Valentine's Day on a Saturday this year, it makes it even easier for people to celebrate with their loved one. Love is well and truly in the air. I think it's all too easy to say that it's just a commercial occasion but do I agree that you shouldn't have to do something on one day a year to show you love someone. Surely, it's the little things you do, every day, that matter most? Sometimes, it's not so easy and other things seem to get in the way so Valentine's Day is just a good reason as any to remind someone you care. I used to leave little notes in Stephen's lunchbox, telling him another reason why I loved him. Corny, perhaps, but he still has those notes, tucked away somewhere safe. Those notes may have ended but I still try to show I care, be it making a nice meal for us with all his favourite things or buying these silly cartoon postcards that say things like 'little love peanut' and 'I love you more than cheese'. 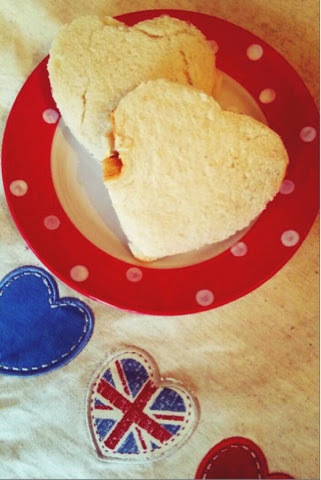 This year, just to to make something as humble as a sandwich feel a bit more special, I made hubs his favourite - peanut butter and jam - with the new Roberts Soft and Fluffy loaf and cut it into the shape of a heart. 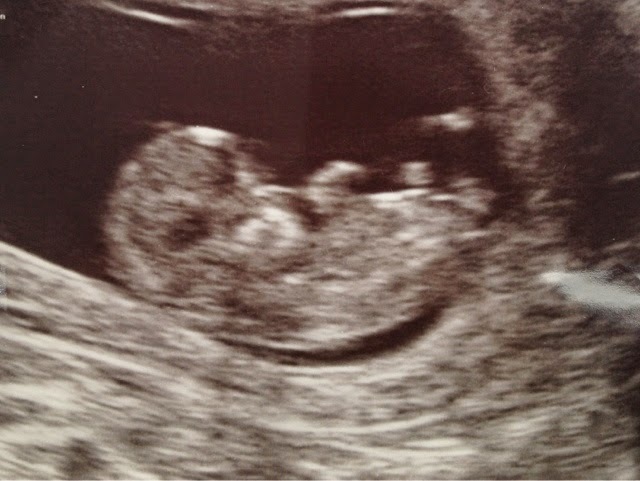 For the other love in my life, my little man, I made a marmite version. Both went down very well - Ethan asked for more - and brought a smile to their faces. If you want to do the same, you could try this Roberts Bakery recipe, specially created for Valentine's Day by Channel 4 Nutritionist Dr Carina Norris, as a sweet treat for your sweetheart. 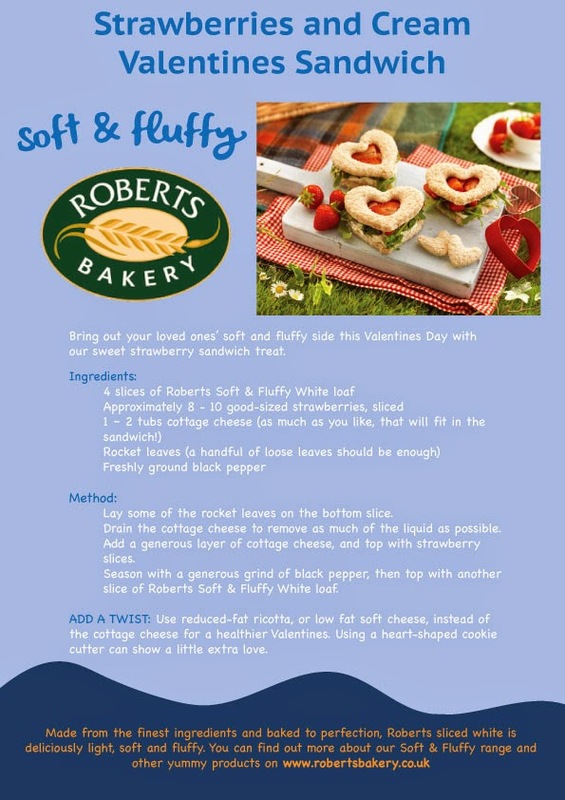 * Thank you to Roberts for sending us a loaf of their new Soft and Fluffy white bread plus this creative recipe. 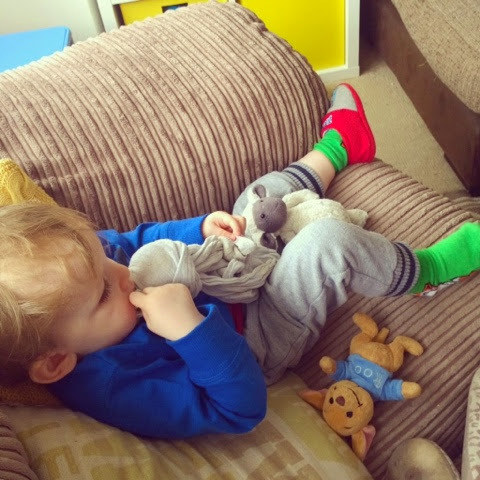 I writing this snuggled on the sofa, my dog at my side, Ethan playing with his train set and Frozen on the TV. As it has been most days this week. Boy, does my boy love that film! DOING We've all been a little lazy today as little man woke before 5am, having been sick in his bed what we can only assume was hours earlier, and he joined us for a few hours of fitfull sleep in our bed. He's been suffering with a head cold and a bit of conjunctivitis and I think he may have passed some his lovely germs to me, so I've been keeping myself topped up with Lemsip, the apple and cinnamon kind. Earlier this week, I spent two days in London for work which went really well; I missed Ethan loads but I was sent lots of photos, like the one above, and it was nice to have a night off, as I got to go for a meal at my favourite restaurant in London, The Refinery in Southwark, and had a really nice evening. 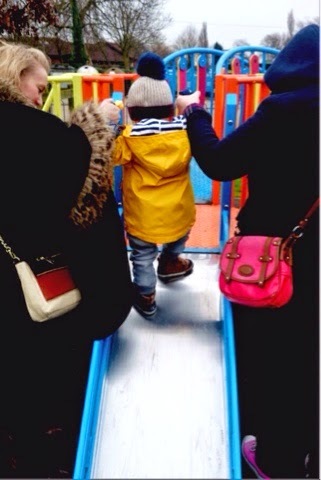 On Saturday, we did a spot of shopping to finish buying Ethan's next size up clothes. He's well and truly sorted now and I've packed away his new wardrobe - it won't be long before he will start to wear it all, he's getting so tall. WEARING I've been trying to wear my dresses and skirts more, rather than keeping them for 'best' and this week, I finally tracked down the Cath Kidston Autumn Bloom dress that had eluded me in the January sales, completely unexpectedly, and for just £30 so I'm feeling pretty pleased with myself. 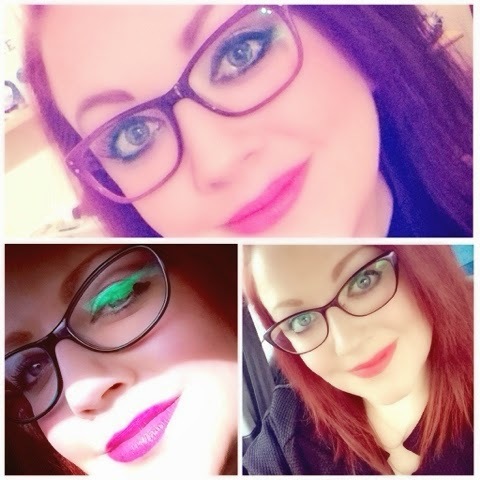 I've also got some new spectacles on a count of my doctor asking me to go for an eye test to check for something (plus a zillion other tests to find out what's causing my high blood pressure), and me finding out at the same time that my prescription had changed slightly. So, I have some new specs appeal and I'm getting used to my new glasses. LOVING Anyone else a big fan of bold prints? 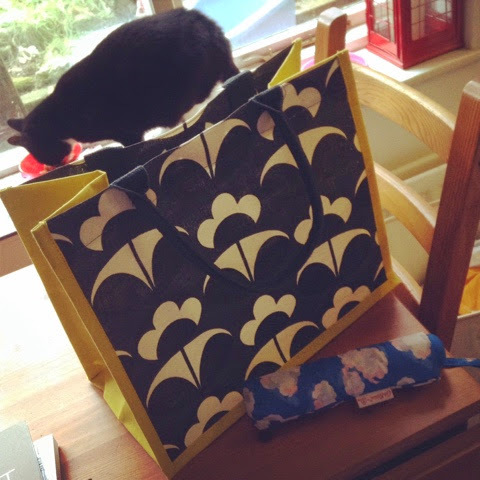 Like Orla Kiely? Then you need to head to your nearest Tesco, pronto. They've brought in new shopper bags featuring new orla designs, having first done so this time last year, and I was so pleased to spot one of these, I just had to snap it up. TRYING I've been trying out the new Oral B 3D Whitening Toothpaste and I'm really I,pressed with it. It makes my teeth feel really clean and I can see a colour difference too. WATCHING I've finished Elementary this week and I'm now on The Following and Blacklist. READING I've been meaning to get this book for sometime, having seen some buzz about it all over the place, so I'm pleased to finally read I Quit Sugar for Life. 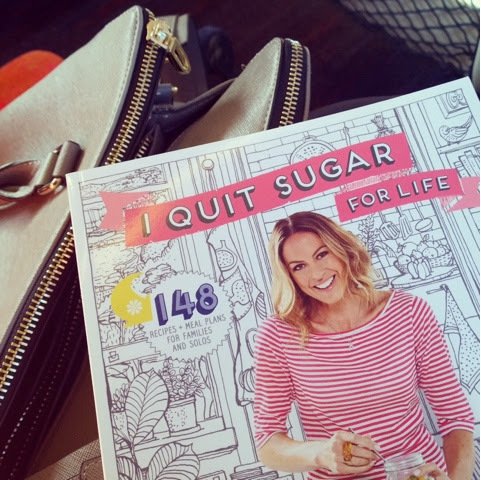 It's a really informative, recipe filled and beautifully designed book all about eating fresh and cutting out sugar for a multitude of reasons and in some very easy ways. It's really accessible, talks a lot of sense and I want to take its thinking on board not only for myself but also for Ethan, as I'm growing more and more conscious about what I feed him. Finding somewhere to get all your bits and pieces under one roof can be a real lifesaver, believe me, to save time and to help you feel organised, whether you have a bump or a newborn, which is why I've been excited to find out that M&S has launched an all-new on-stop baby shop. Available online and in six stores, M&S Baby offers products for seven key stages - Welcome (newborns), Clothe, Bathe, Sleep, Feed, Play and, not forgetting mums, Maternity - and including products from eight well-known baby brands. I love M&S for their food and Ethan has had some really lovely clothes from there too (usually saved for 'best') so of course I'm loving the look of this new range. 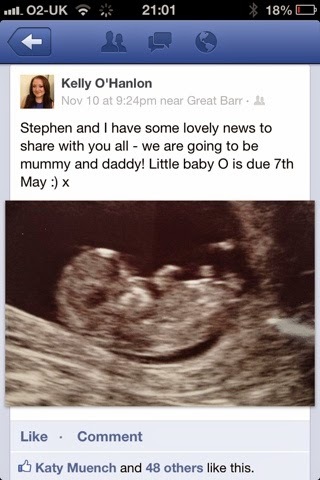 Perhaps for baby number two... a little while in the future yet! Definitely one to check out if you're expecting. Or if you have a friend who is. Or if you just like looking at cute things. 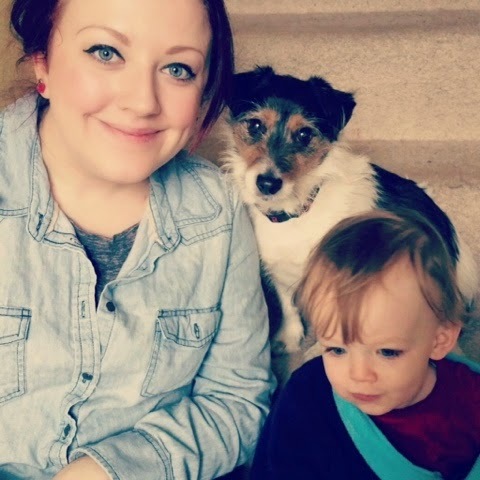 I've heard that M&S will be running a Twitter competition for parents to have the chance to win £1,000 towards their nursery - now, that would be lovely, wouldn't it?! 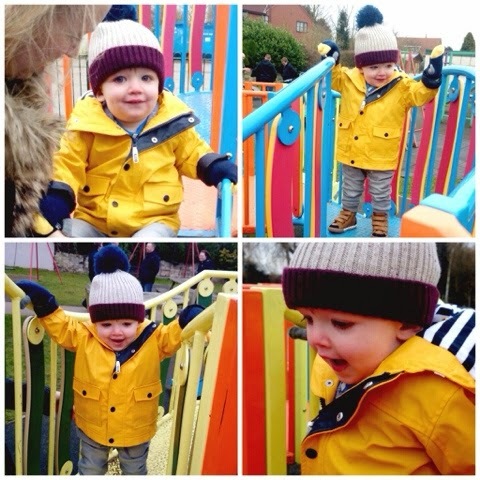 * Thank you to M&S for telling me all about the new M&S Baby collection! How are you doing handsome? 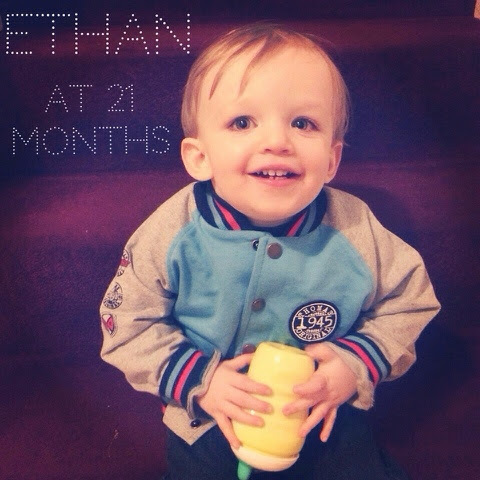 You're 21 months old today and just a little bit closer to your second birthday. Wow. 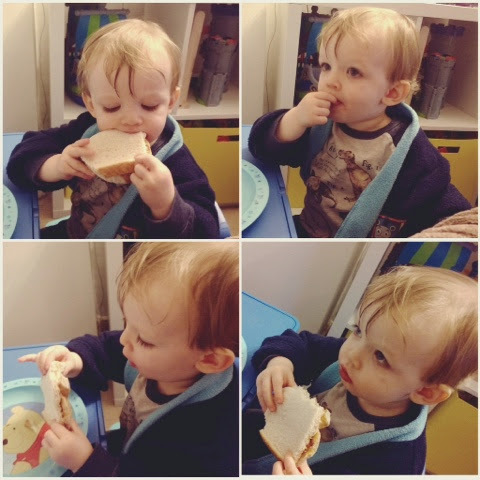 You're now in Tweenies at nursery (which is the third group of six) and you're loving having more freedom and more time in the garden each day. What's really amazed me is how you have friends - well, of course you do, who wouldn't want to play with you? - but what I mean is you actually know the names of the other children you play with and recognise them, and they recognise you. 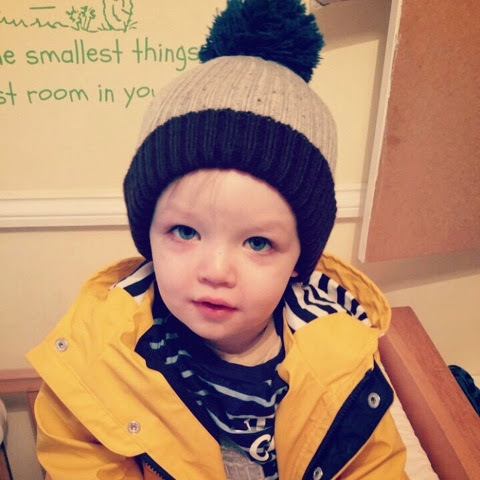 It's so lovely to see you with other children and I still can't help myself from hovering at the door a little when I drop you off or when I come to pick you up so I can see you with your friends and get a glimpse of what you do on the days I'm not around. 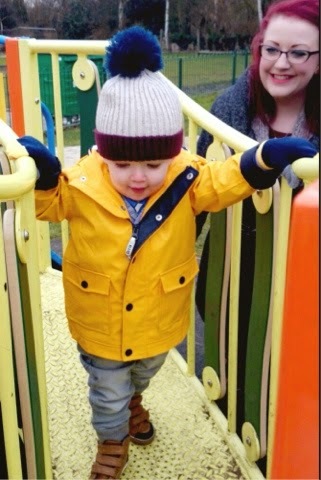 You really are very happy at nursery and in the company of others and you don't mind being the centre of attention. It's been a good start to 2015 and you've been able to spend lots of time with lots of people who think the world of you. 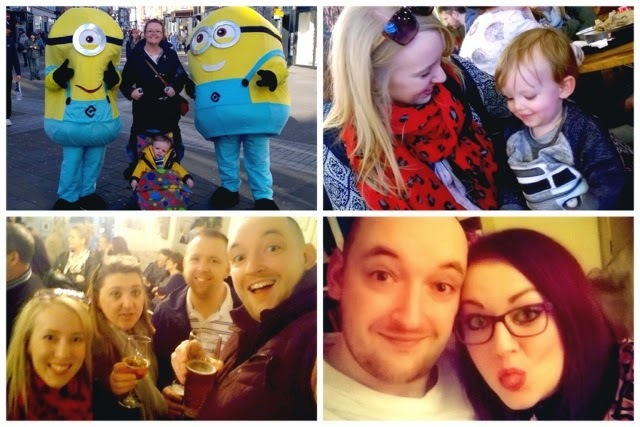 You've visited Nanna and Gramps, you've seen Nanny and Grandad and you've also spent time with Ob and Ereen, otherwise known as Uncle Rob and Auntie Erin. Oh, and you've loved being able to play with Uncle Simon too. 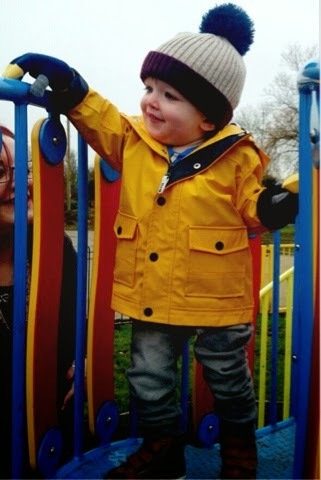 It was Daddy's birthday last week and in a couple of weeks' time, we're going to stay with your Godparents - I bet they won't believe how much you have grown and developed since they saw you at the end of November. At home, your best friends are Lamby and Roo and you also have a new friend, Baymax from the film Big Hero 6. They go with you everywhere and at nighttime, if you wake up, you check around your bed to make sure they're still close by. 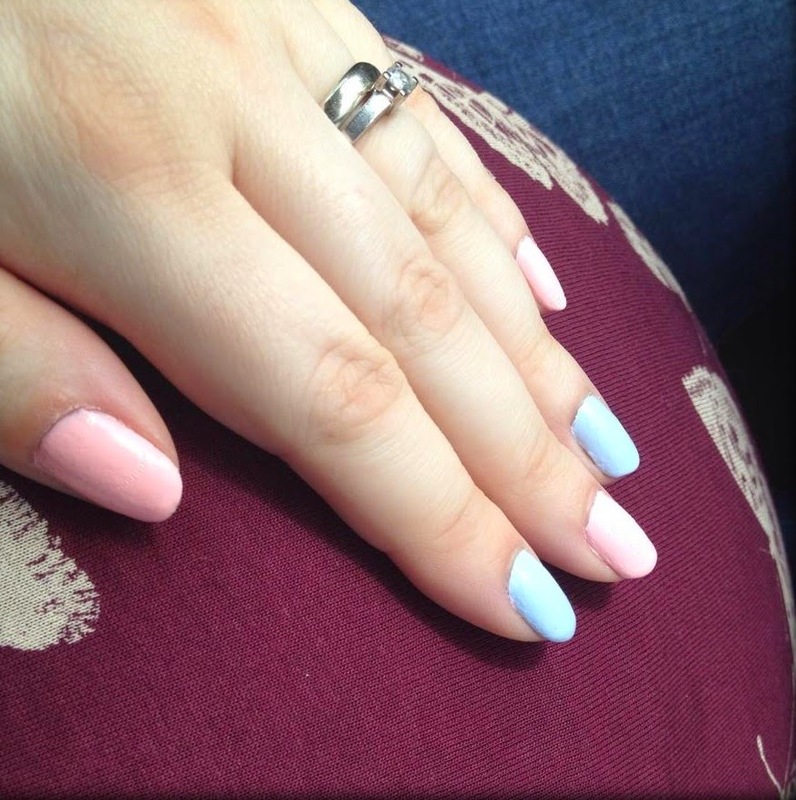 You've also got another new obsession - Frozen! Or to be more specific, the reindeer, Sven, or Schen as you call him. We've long sung the Frozen songs to you at bedtime and you've had the cuddly Sven and Olaf toys for a while but it's the past couple of weeks you've really been interested in reading the book or watching the film again and again. You also say 'you-hoo' when you see the man from the forest shop in the film, which really makes us laugh. As ever, you're talking and walking have both come on so much since I last wrote to you. You play a game with us now where we ask if you can say a word, you reply yes, then we say 'go on then' and you'll give it a go. We do this a lot every day and there's so many words you now know, plus you're learning about context and understanding opposites too, such as 'cold' when you get in the car in the morning or 'hot' when you see a radiator. Most mealtimes at home, you go and sit yourself down at your table without having to be asked, ready to feed yourself. You love to draw and you still love your books too. 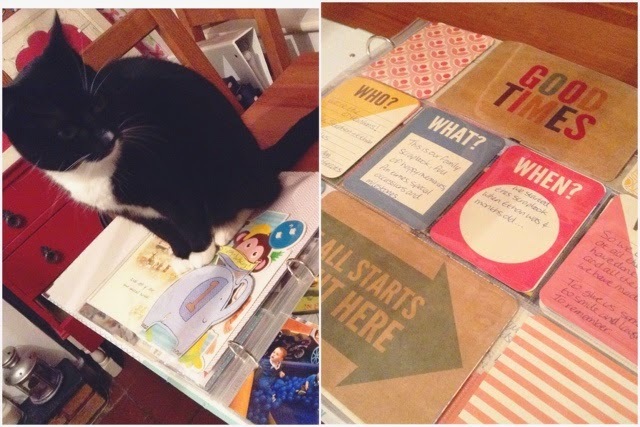 You're still calling any cats you see Arty and apparently you talk about Arty and Eddie a lot at nursery too. And you give Watson (Awoof to you) lots of cuddles. We've had lots of fun together this month and although I've been quite busy with work and distracted at times, I really do love our time together. You're such a cheeky, kind, funny little boy. Never change. 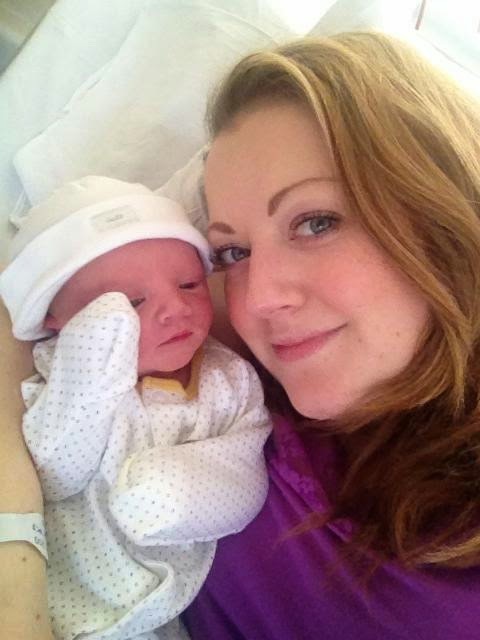 The name of this blog was chosen at a time when I was about to embark on my first adventures in mummyhood.